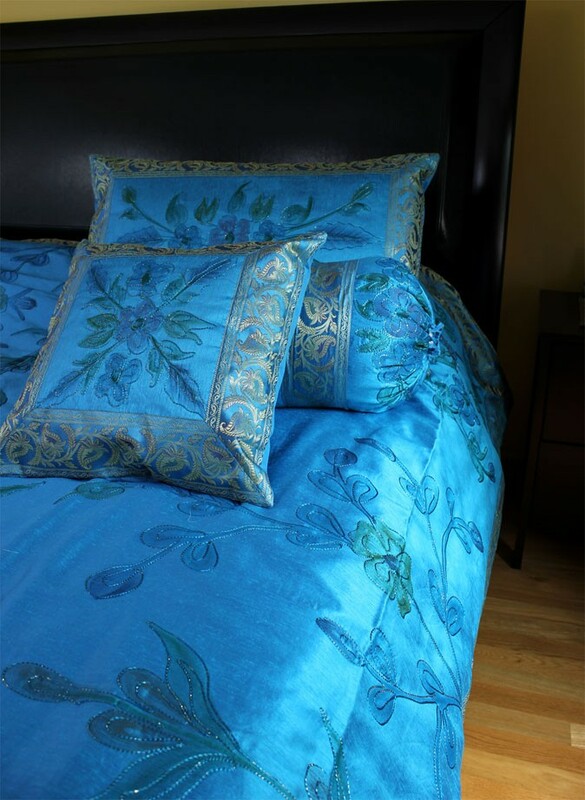 Unique and vibrant Hand Painted 7-Piece Duvet Cover Set from Banarsi Designs will transform any bed into the most stunning focal point. 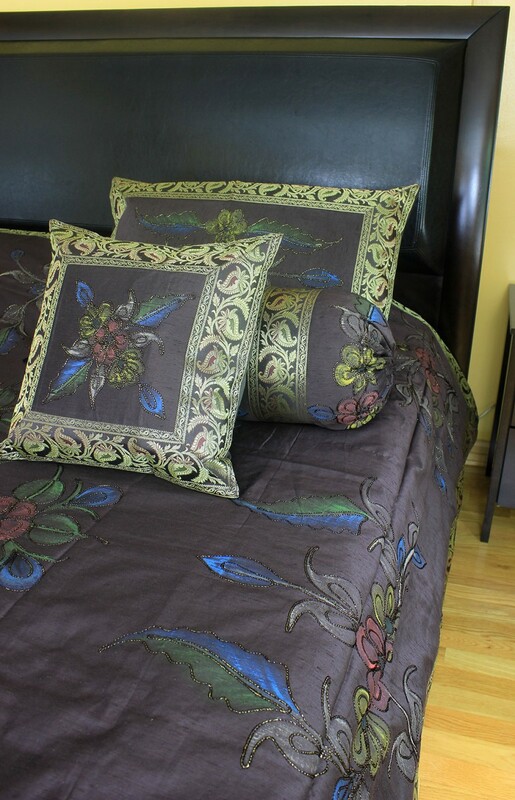 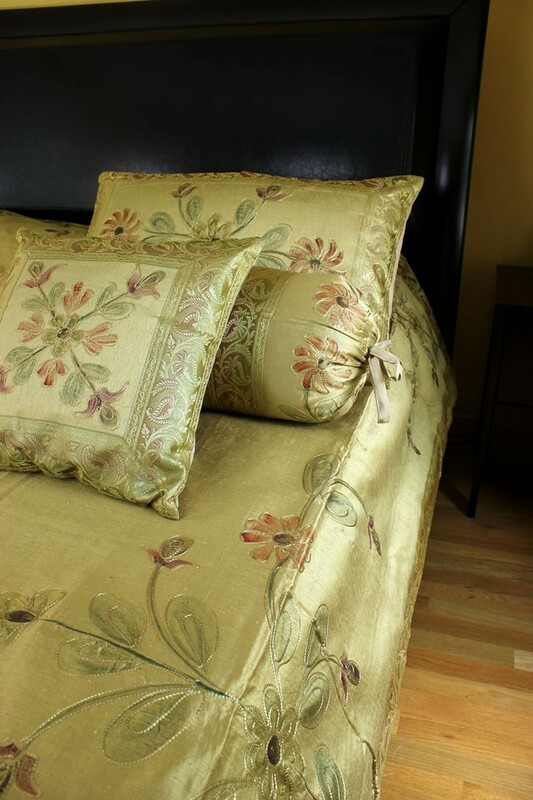 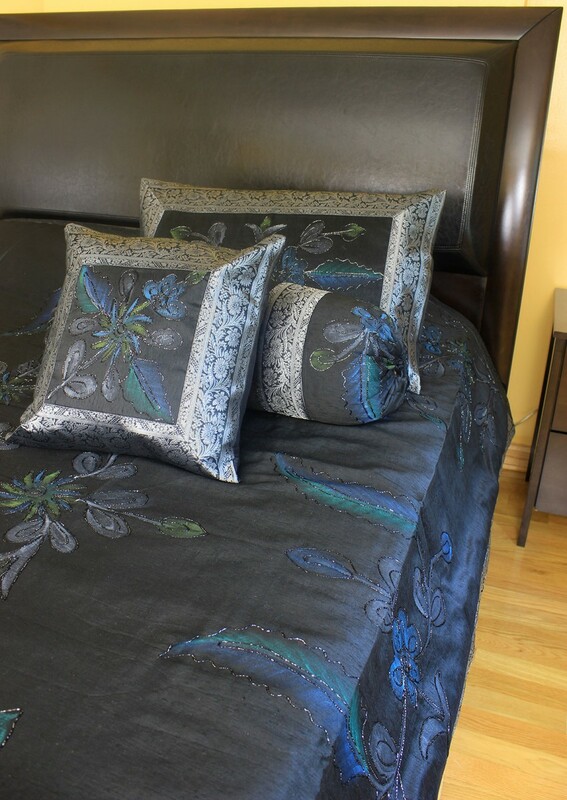 Decorative and vibrant Hand Painted 7-Piece Duvet Cover Set from Banarsi Designs includes: 1 duvet cover, 2 square pillow covers, 2 rectangular pillow covers, and 2 bolster pillow covers. 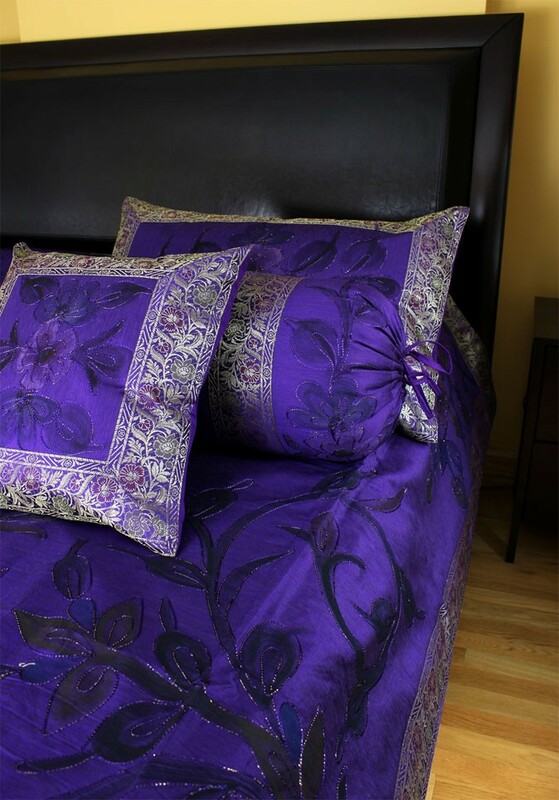 Crafted in India, this bedding set features a hand painted floral pattern and will transform any bed into the most stunning focal point. 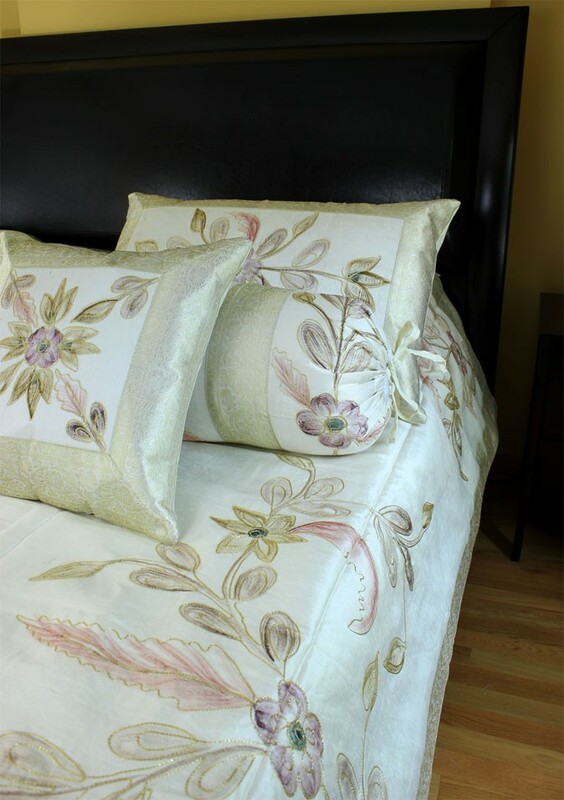 Shimmering, luxurious dupion satin fabric feels exquisite to the touch and looks even more striking in almost any lighting. 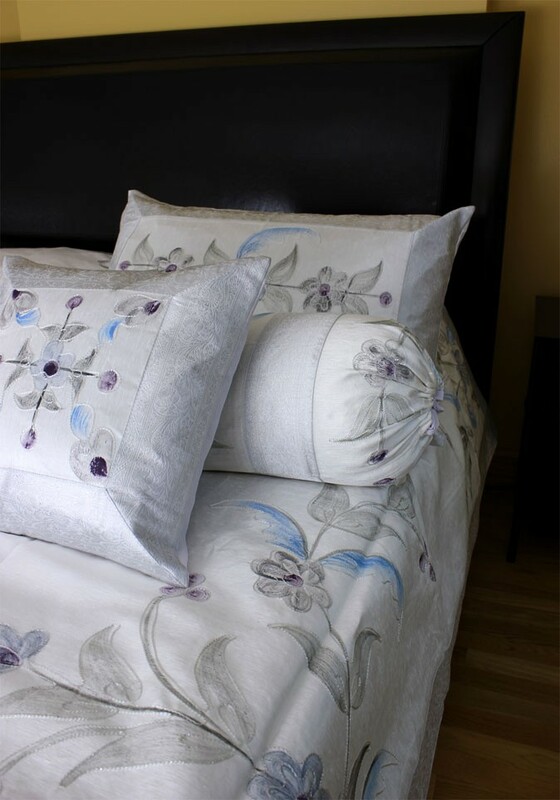 Whether you have natural light in the bedroom you choose to use the duvet cover set or low, soft lighting, the vibrant floral design will stand out and simply take your breath away.